Given the circumstances, I’m just providing a basic post for today. 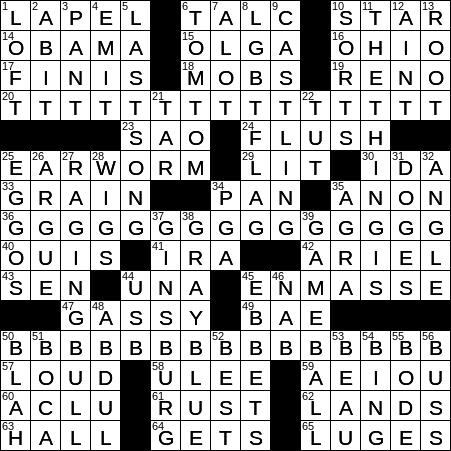 I run a one-man-show here, so I am sure you can understand the short pause in coverage of the daily puzzles. Mom was always a tough taskmaster, so I’m sure that her spirit will have me back up and running tomorrow.